The new gallery allows Alan Gilderdale’s significant activity as a printmaker to be seen over time. The US-based Wood Engravers Network featured an Alan Gilderdale work on its blog. Ten works from Alan Gilderdale’s retrospective are now being displayed in the windows at Northart, giving the public another few weeks to see the work. 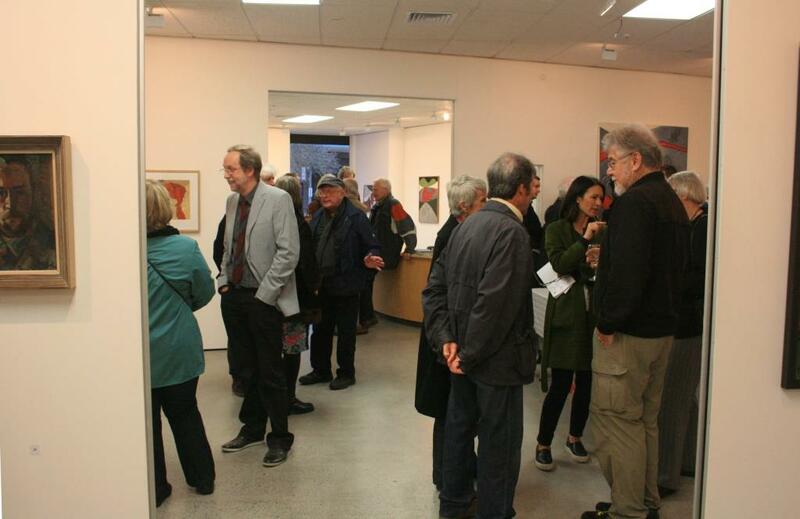 Sait Akkirman of Artsdiary was at the opening of Alan Gilderdale’s retrospective at Northart. 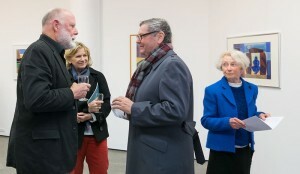 His photographs here show a good selection of the works and of the 150+ people who attended. Over 150 people from the art, literary and media worlds crowded the 5 galleries at Northart for the opening of Alan Gilderdale’s retrospective on August 30th. In response to Alan Gilderdale’s retrospective at Northart, Graham Beattie wrote an appreciation of the artist’s life and work on his widely read blog.